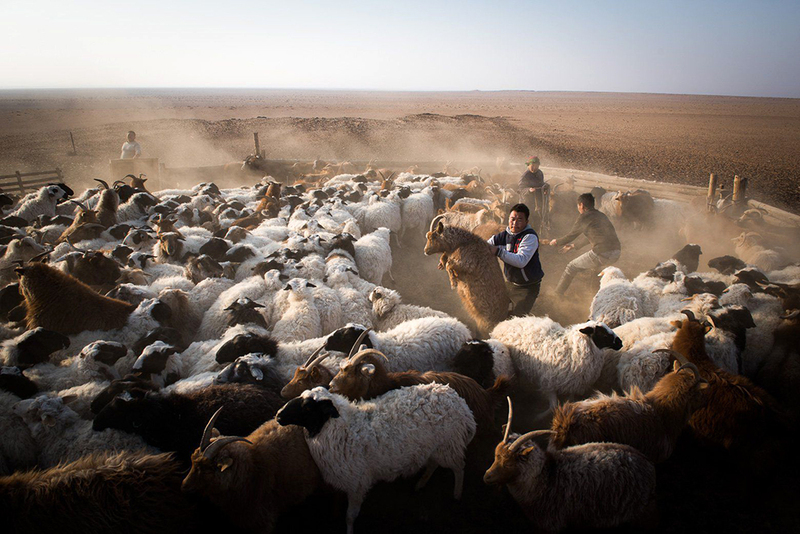 Mongolian Nomads struggle with mysterious diseases in their livestock, contaminated water, and toxic dust. A French nuclear company, which is testing uranium mining in the area, claims they have nothing to do with it. For years Areva Mongol and the subsidiary Kogegobi are preparing the breakdown of deep uranium reserves in Ulaanbadrakh, Mongolia. In this context, Kogegobi tested from 2010 to 2011 the so-called in-situ leaching method (“on-site leaching”), similar to the fracking of unconventional shale gas sources. Shortly after the first tests, an accumulation of miscarriages and malformations were noticed in the livestock of the nomads. The phenomenon spread throughout the region, reaching its previous peak in 2014: A family then lost 95 young animals – 80 percent of births in their herd. Jib considers itself as a self-organized collective of young, committed journalists and multimedia storytellers from Germany. What unites them, is their political approach and the standards they set to their work. They promote journalism with attitude and connect critical reporting with new media storytelling. They work was awarded several times and published in magazines and newspapers such as Spiegel, stern and Zeit.